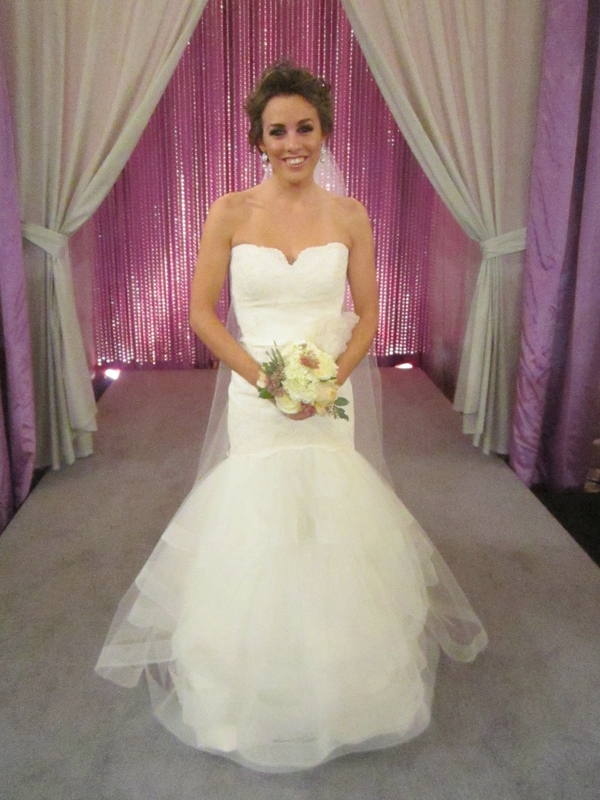 Seattle bride Tonie came to me looking for a gown that would make a statement and would represent her big personality. But at only 5 foot 3, this petite bride’s biggest fear was that she would look like the flower girl at her own wedding. Another must for Tonie was that her father approved of her gown choice. After trying a couple of dresses that didn’t make the right statement, this Tara Keely gown not only made the perfect statement, it also got the approval and some tears from dad. For her “head to hem” makeover, it was most important that the hair and makeup reflected the mature woman Tonie had become. 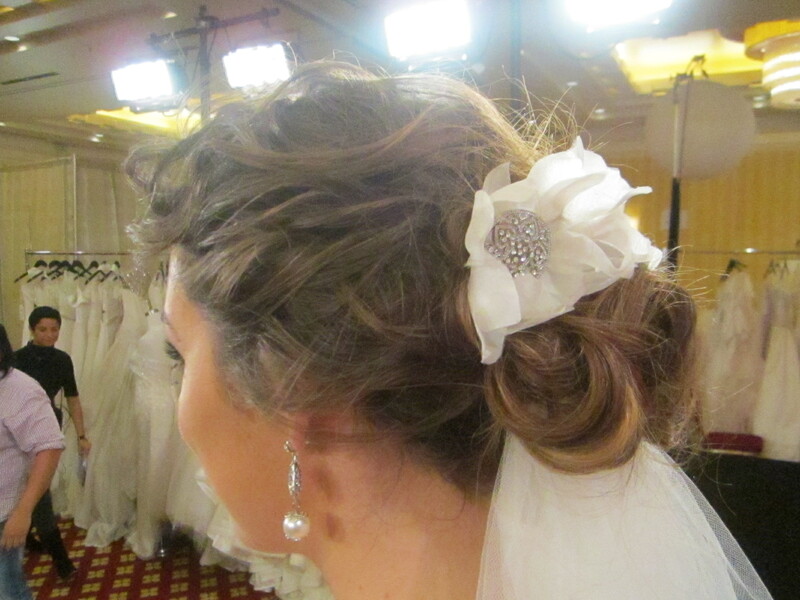 To do this, Lindsay created a sophisticated up do with lots of movement that looked effortless. Make up expert Raychel used a smoky eye that added glamour and drama to Tonie’s look. Her final reveal on the aisle of style, made it clear no one would mistake this Tonie for a flower girl. Cathedral veil from Marcella’s La Boutique. Lindsay and Raychel created sophisticated and dramatic hair and makeup for Tonie’s final reveal. 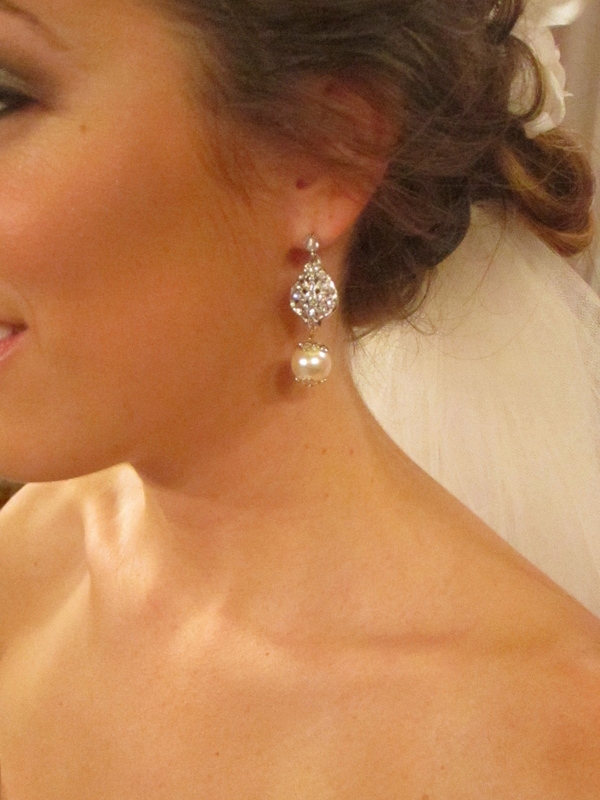 Crystal and pearl drop earrings by Thomas Knoell. Remember to keep the bouquet in proportion. 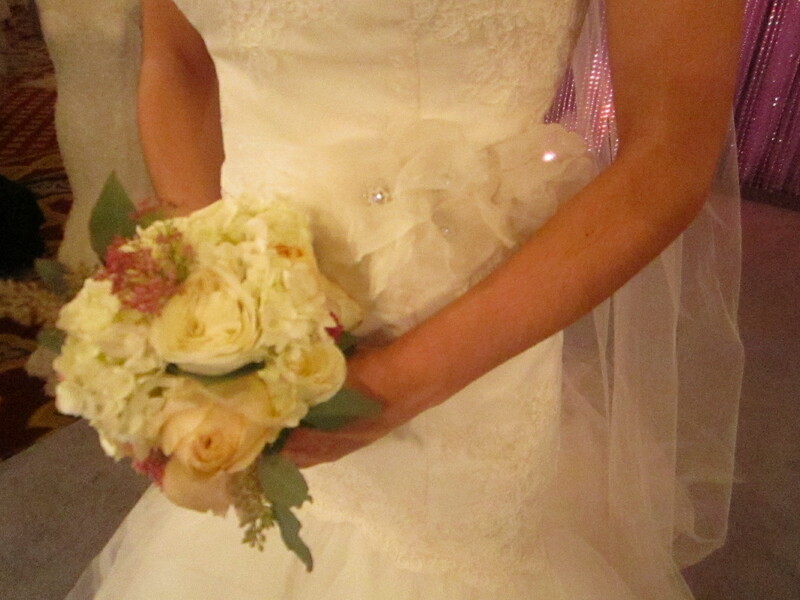 This small bouquet was perfect for Tonie’s petite frame. 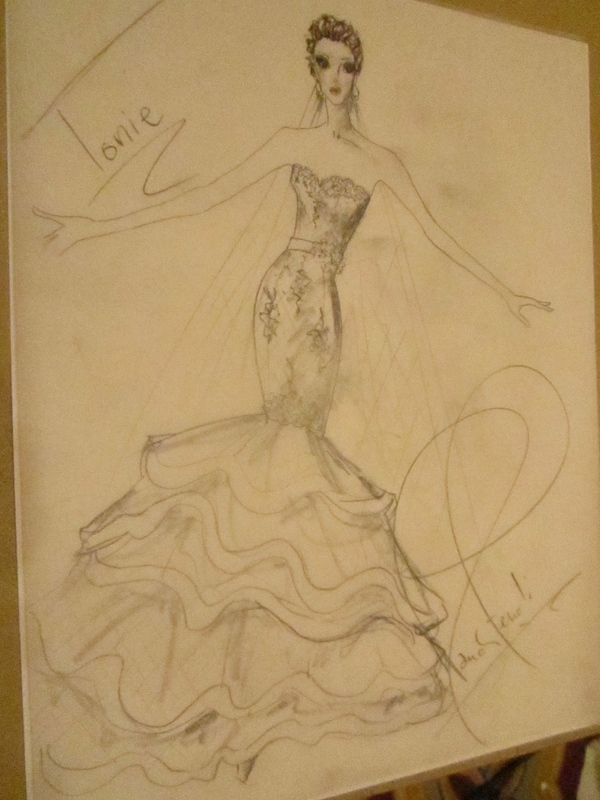 The final sketch for Tonie’s bridal blueprint. Find the complete Tara Keely collection at www.jlmcouture.com. For more information on Marcella’s La Boutique, go to www.marcellas.com. Go to www.mhtiara.com to view more accessories from Malis Henderson. Thomas Knoell accessories can be seen at www.thomasknoell.com.